PornHub's expansion into the VPN market should come as no surprise. The adult entertainment company chose to focus on the mobile segment, by announcing a free and unlimited VPN app for Android and iOS. 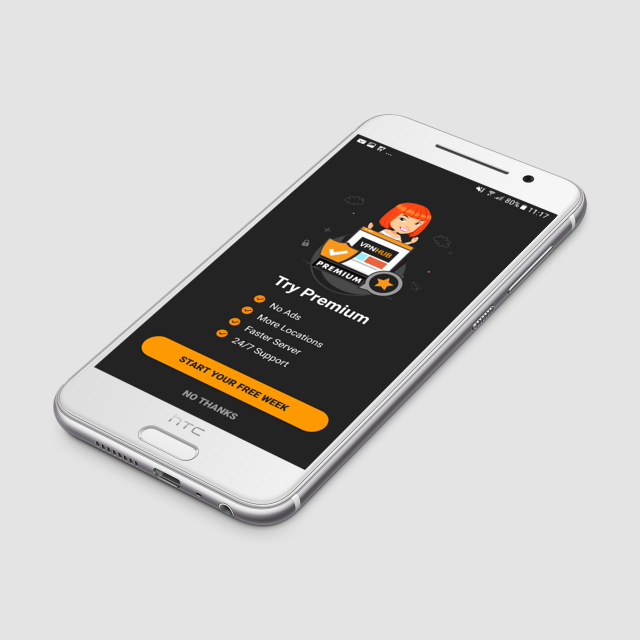 With the help of cheesy ads and this free plan, PornHub hopes to convince you to install their free VPN; ultimately upgrading to the Premium, paid version. But is it worth it? Does this new contender by MindGeek, the IT services company powering the most visited adult entertainment website compare favourably to the established VPN providers? 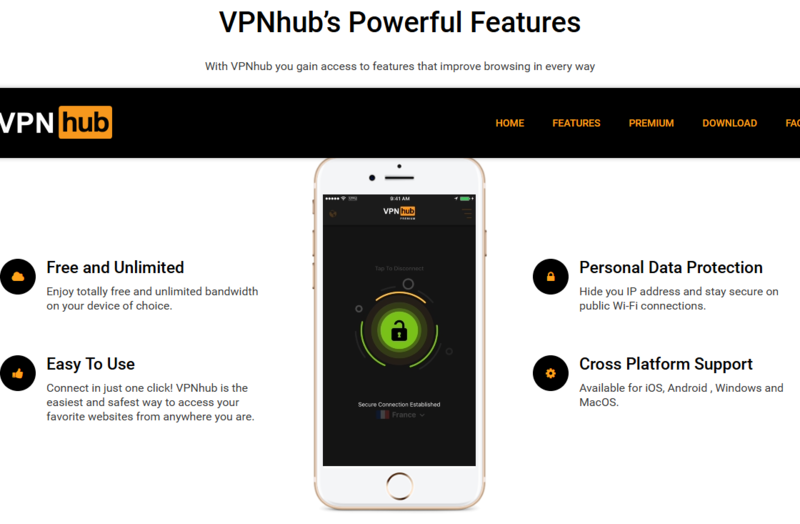 VPNHub makes bold claims: "features that improve your browsing in every way". VPNhub's free plan is available for mobile only. It supposedly comes with unlimited bandwidth. Unfortunately, even starting the app after downloading it can prove to be an impossible feat. 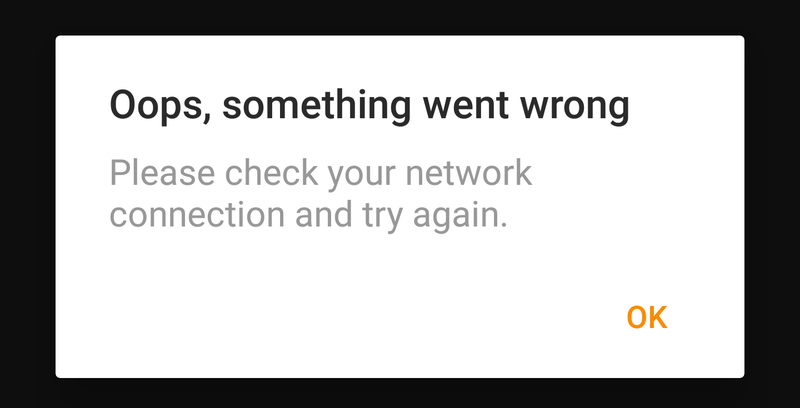 The app constantly either crashes to the home screen, or shows a generic and useless error message: "Oops, Something went wrong"
The free version only includes a single server in the US. The UI is very simple, with a big central button to connect and disconnect. When the app reluctantly accepts to launch, it is true that it is dead simple to used. 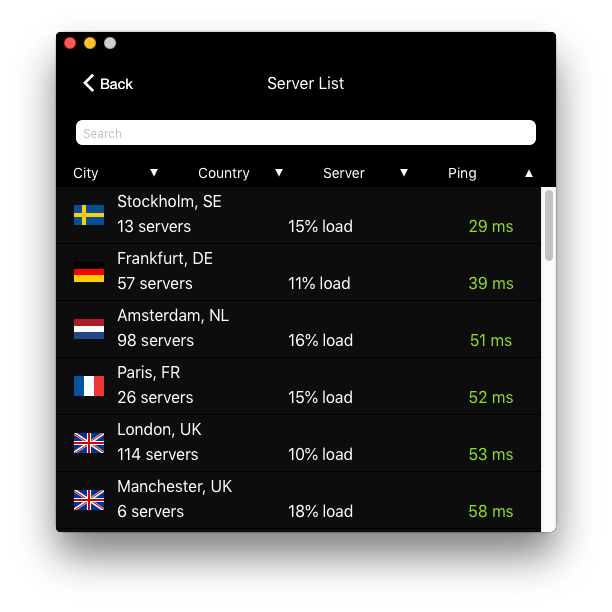 One big button launches the connection process, and a dropdown menu allows the selection of the VPN server of your choice. But with the free version, this server selection menu is totally useless; only Los Angeles is available for non-paying users. 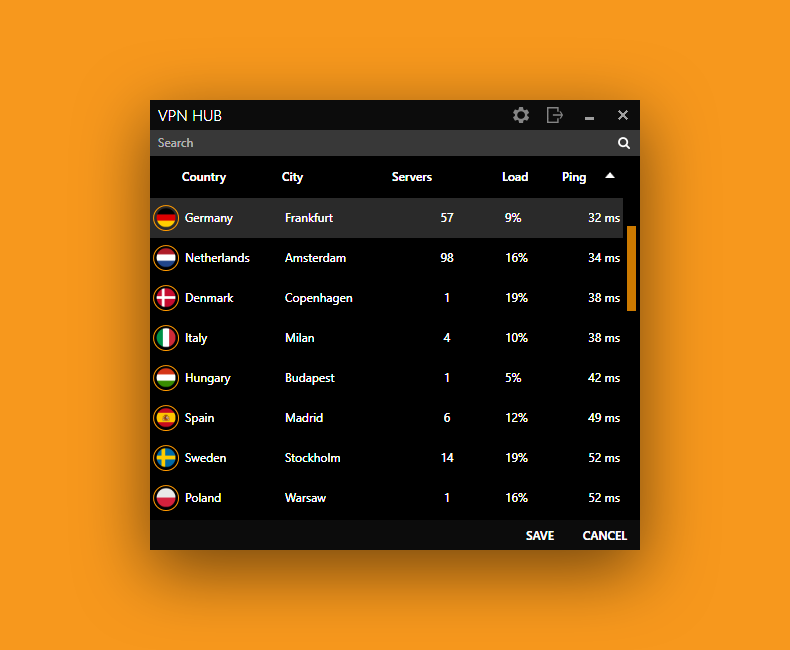 If you wish to use VPNhub on your laptop or desktop, or want a location other than the only US server available in the the free version (or simply if you don't like ads), you have to shell out over USD 12.99 per month. The Premium version of the mobile app unlocks the other locations, and triggers new buttons to appear: log in and register. You'll have to register with an email and password to be able to use your Premium subscription on other devices (up to 3 at the same time). Installing VPNHub Windows version was a fairly quick process: clicking on the Windows logo on the presentation page downloads a ZIP file with only a .exe installer. When you launch it, you may first run into a warning from Microsoft SmartScreen. The installer is not digitally signed, so Windows will warn you about the possibility that it has been tampered with. If you select to run it anyway, the first thing you'll see will be a dialog box with the Terms of Service. Clicking on the install button will trigger a UAC screen asking you to allow VPNHub to modify your computer. The installation itself is very minimal: only a loading bar. At the end of the installation, nothing happens, as the app is not launched automatically. The login screen doesn't ask for a username but an email address: the email you have to register in the mobile app after subscribing using Google Play or the App Store in-app subscription option. 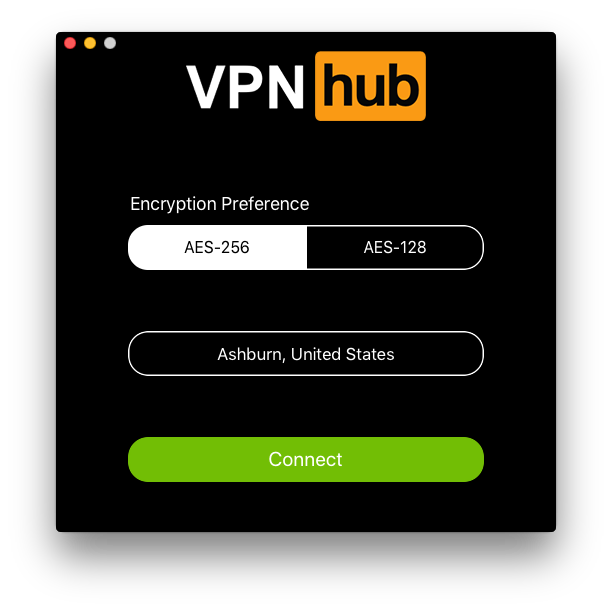 The main screen of VPNHub for Windows is very minimal: it is only composed of a worldmap graphic, a dropdown to select whether you wish to use AES-256 or AES-128 encryption, a button to "change location" and a connect button. Clicking on "Change Location" will display a list of locations that can be sorted by ping or by the load of the servers. USA, Ashburn, Atlanta, Chicago, Dallas, Las Vegas, Los Angeles, Miami, New York, Phoenix, Salt Lake City, San Jose and Seattle. While the ping is displayed for each location, it is disappointing not to find a "fastest server" option to automatically select the server with the lowest ping value. Double-clicking on a location doesn't do anything, as you have to select the Save button which is just besides the cancel one. The lack of difference between the two button is bad UX, as it makes the user prone to misclicks. 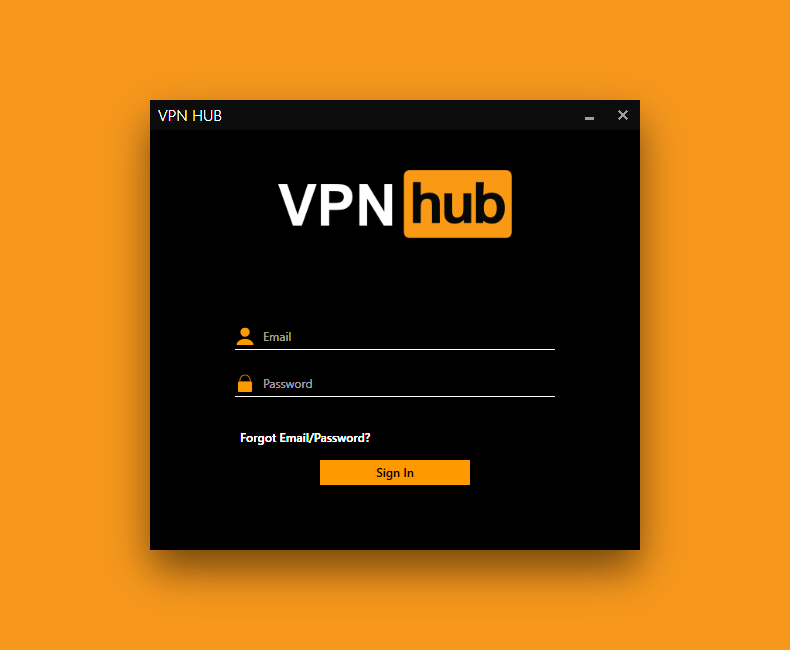 One of the most disappointing points of the desktop VPNhub app is the sheer number of bugs: the app does not remember any login information: you have to re-enter your password every single time you restart your computer. More concerning is the UAC prompt every time you switch on your computer. 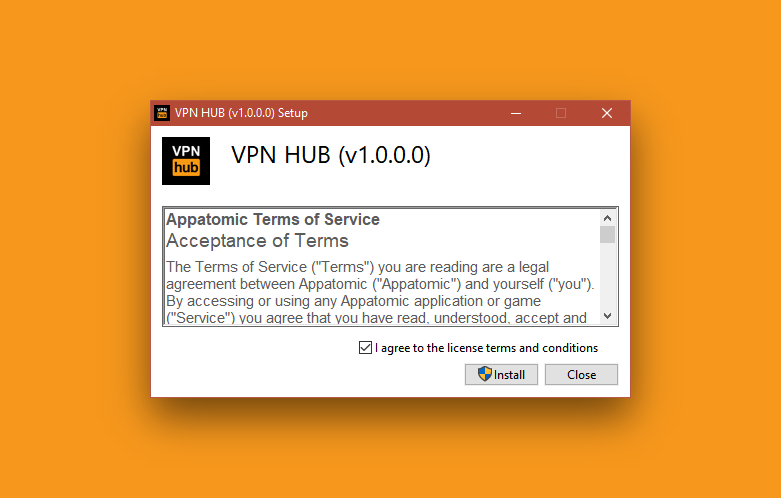 Why does VPNhub ask for administrative privileges for every session? Other VPN clients need this only during the installation process - but not at every boot. Another bug is the discrepancy between the country selected and the country displayed. Finally about the servers themselves, some of VPNhub's virtual locations do not work as advertised. For example, selecting the Italian location does not unblock Italian TV. The reason? The IP is recognized as an American IP attributed to IPVanish. 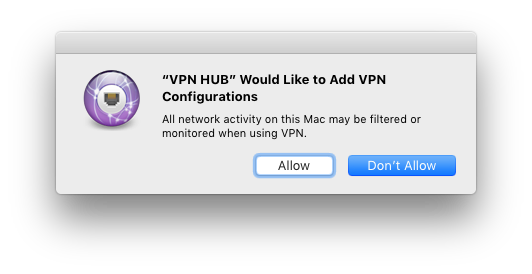 VPNHub doesn't require any installation on MacOS. Launching the downloaded binary file immediately displays the login screen. Upon login, you will be facing an interface that looks like a direct transcription of the Windows client, with the encryption preference selection, the server selector and the huge connect button. Selecting a server is basically the same experience as on Windows: the list is sortable by country, ping or server load. However, the very technology used differs: instead of the usual OpenVPN, VPNhub relies on IKEv2/IPsec. On the customisation side of things, the macOS client is very limited. However it introduces the interesting option to automatically select the fastest server - an option that is sadly missing from the clients for Android and iOS. Aggregate, Anonymous or De-Identified Information. Sharing aggregate or non-personally identifiable information with non-affiliated third parties for advertising, marketing or research purposes. This is a critical issue. While this could simply be poorly-worded legalese, it conjures up the looming spectre of logging. Does VPNhub log user data? Katie from Pornhub says no, but some Reddit users speculated that MindGeek, the company behind Pornhub, had ties with the UK Government because of its involvement in the upcoming age-verification system imposed to pornographic content providers. This "collusion" seems unlikely, as this rule of age-verification is imposed to all major actors of the market. 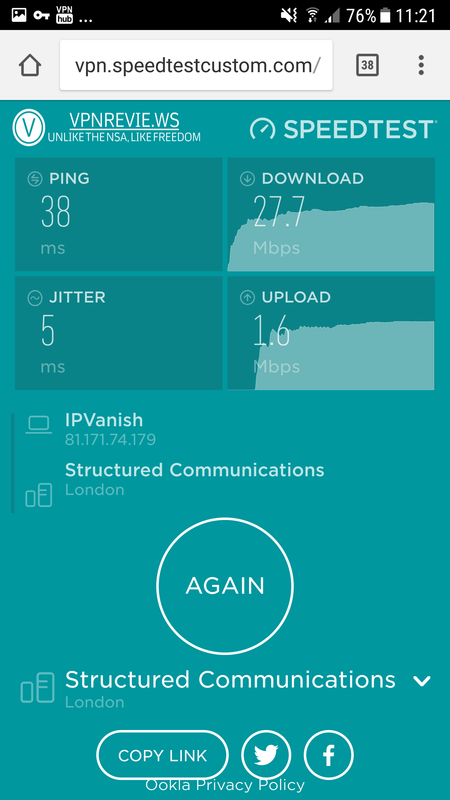 Speeds on VPNhub are disappointing: on a 100Mbps cable connection, even when connected to the closest server, the speed never went over 40Mbps, and generally hovered around the 20s. Testing with the mobile network is even worse, as the ping dramatically increases. VPNhub doesn't handle disconnects gracefully, and seems to simply crash when the network connection is lost. Testing VPNhub from a server in a datacenter with gigabit connection speeds confirmed that the peak connection speed that can be reached with VPNhub is 60Mbps when connected to the Amsterdam server. With a "premium" VPN service, this is a disappointing result, as more and more internet users are beginning to have the possibility to use connections that go over 100Mbps. Unfortunately, VPNhub's servers are not ready. But could these unimpressive results be explained by the fact VPNhub servers are not really operated by VPNhub? 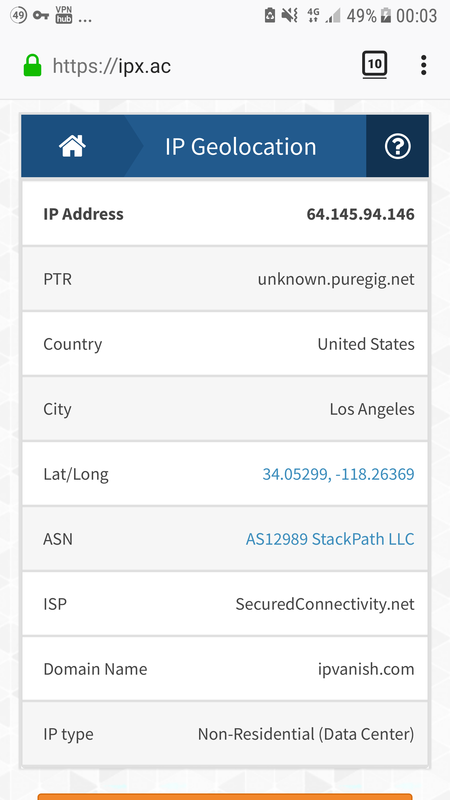 After investigating the reverses for the VPN servers' IP addresses and the default DNS server, it turns out VPNhub does not have its own network of servers. Instead, Pornhub is merely reselling IPVanish's white-label service, which bears the fitting name of "White Label VPN, a StackPath company". IPVanish was once a Highwinds company, but it was bought out by StackPath, the CDN behemoth that also bought the user-friendly MaxCDN. Support for VPNhub can be summed up in one word: non-existent. The only way to contact VPNhub is by email - and the company simply never replies. When you have subscribed to the premium offering and your mobile app is refusing to launch, the best recourse of action is to try and reinstall the app. Or just cancel your subscription in the Play Store. The bug-filled rebranded StrongVPN/IPVanish desktop client that does not remember login info, nor display the connected country accurately. No anonymous payment with pre-paid cards or cryptocurrencies: the only payment form accepted is the one liked to your Apple ID or Google Account. VPNhub is unfortunately nothing but an half-assed attempt at releasing a me-too service. Instead of deploying its own server fleet, Pornhub took the white-label route with IPVanish and its buggy software. 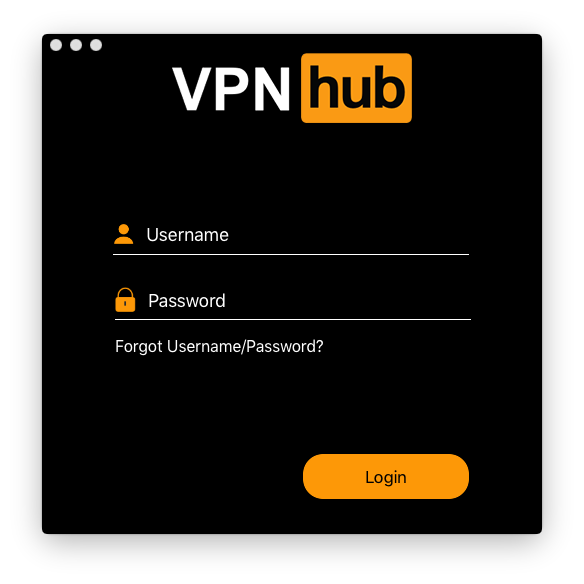 While VPNhub does hide your IP address, you could find yourself exposed because of the silly software quirks and random silent disconnects.